Chelsea midfielder N’Golo Kante is unlikely to consider leaving the Blues and joining Paris Saint-Germain, even next summer, it has been claimed. The French World Cup winner recently signed a new long-term contract with Chelsea and has shown little inclination to reconsider his future at Stamford Bridge. PSG were interested in signing him last summer and had talks with his representatives with suggestions that they were prepared to offer him a lucrative contract. Kante was not interested in moving back to France with PSG and never seriously considered moving to the Parc des Princes. The midfielder has continued to remain on PSG’s radar, but according to French magazine Le 10 Sport, Kante is unlikely to consider joining the Parisians next summer as well. PSG want to spend big on a central midfielder at the end of the season and Kante remains on their shortlist, but it seems a transfer is unlikely. 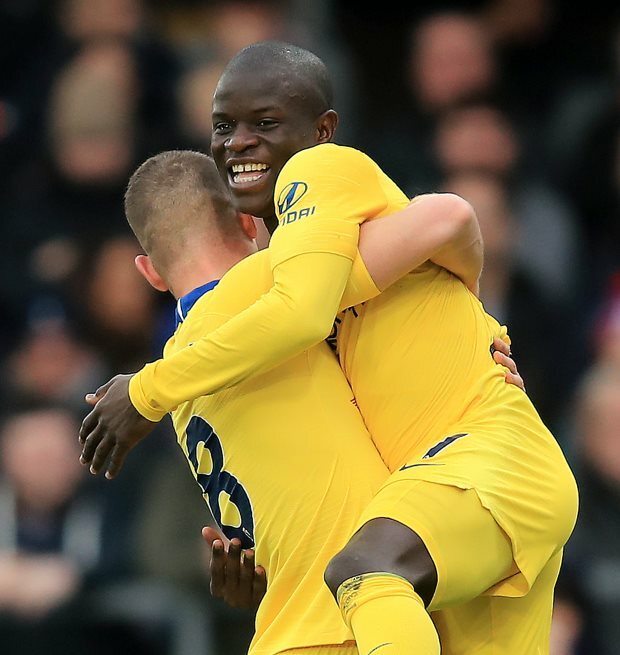 Kante has not been playing in his natural position this season under Maurizio Sarri, but has no plans to leave Chelsea at the moment. He is also one of the best-paid players in the Premier League after he signed the new deal.